Meet Mathias Thorell, known to me and the other 11,690 members of Philips Streamium Café as 'Tias'. We've never met, emailed or spoken but it's clear Tias is an interesting guy. 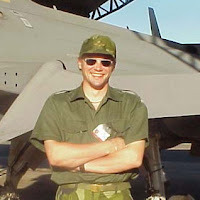 Originally from Sweden he was a Senior Flight Test Engineer on the Saab Gripen but now works as a Systems Engineer and IT Manager in Santiago, Chile. In his spare time Tias contributes to Streamium Café , a user group for a range of wireless multi-room music players from the consumer electronics giant, Philips. To say Tias contributes is somewhat of an understatement, 2,651 helpful posts to date which equates to over two per day. It strikes me that Philips is treating their 11.5k members as an outsourced R&D and Customer Support team, offering virtually nothing in return other than a place to 'talk', either oblivious to the reputation-management issue coming its way or arrogant enough to think it can do as it pleases. At least they have got it half-right; to date Philips has enabled conversation among its customers and kept a very low profile other than removing spam and offensive (to members, not about products) comments. Commendable but not nearly good enough. Unfortunately Streamium is not iPod-simple, nor is it inexpensive. The challenge for Philips seems to be how to move this technically-advanced product from the smallish early-adopter geek market to the mass consumer market. Most Streamium users get the 'story' - the way products can change the way we live, some Café members are not only willing to put up with the glitches and idiosyncrasies, they are actively trying to solve the bugs and improve the product. Take the software; if you have ripped 200 CDs onto a Streamium (slowly - plate tectonics will have moved your Streamium a few inches closer to Africa before you have finished ripping the latest Chili Peppers ' triple album) it's not something you would wish to repeat any time soon. The backup software supplied by Philips is lame and not open-source thus will remain so. Back to Tias, he (with assistance from other members of the user group) has spearheaded the creation of the vastly superior track managing software (WACHandler), available to all, for free (donations welcomed). Think about the cost of the forum and the benefit to Philips; 11.6k members helping each other and providing product roadmap ideas for an item with an average price tag of around $350 per room, that could either be returned to the stores, or worse. Enthusiasts and user groups are powerful, I don’t believe Philips understands how fortunate it is - this is a response to members asking why its moderators remove spam but will not 'engage' more fully. Just think what you could achieve with that number of engaged advocates, or just a few guys like Mathias Thorell. Thanks for the insight you share as a fan of Philips and Streamium. I’ve shared this info with key colleagues, so that they can share this onwards with other colleagues centrally. In the UK we are a relatively small sales organisation with all our technical expertise based out of Asia. We do investigate individual performance issues with all our products – via the traditional consumer care channels, and provide an online interactive resource for more basic problems, but unfortunately we’d struggle to resource this level of activity from the UK on an ongoing basis.